a racing number as well as freakin’ fast flames. Lookout! It’s a bird. It’s a plane. 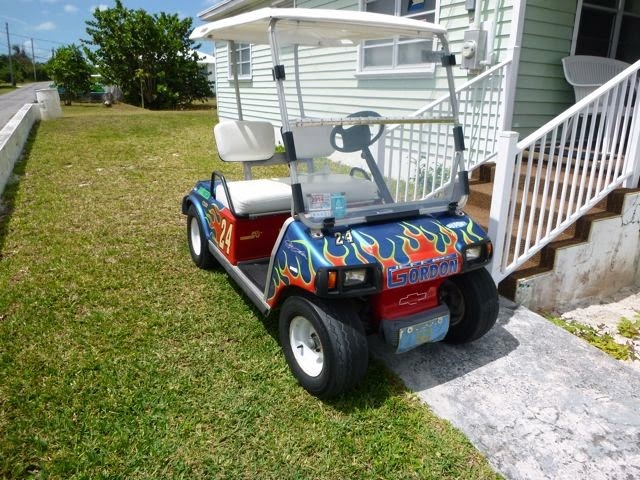 No, it’s a golf cart… with flames! Lookout! Here comes another one! And another! When you’re on an island like Eleuthera that’s really a set of islands (or the shorter Long Island), there’s a lot more stop and go than “highway miles.” Heck, there aren’t many miles, period; skinny Eleuthera is just a little over 100 miles long. Speeds of 55+ mph are not only unlikely, in Eleuthera, the speed limit is purportedly no more than 40 miles an hour highway and 15 in towns. On land, a true go-fast-vehicle is just for show. 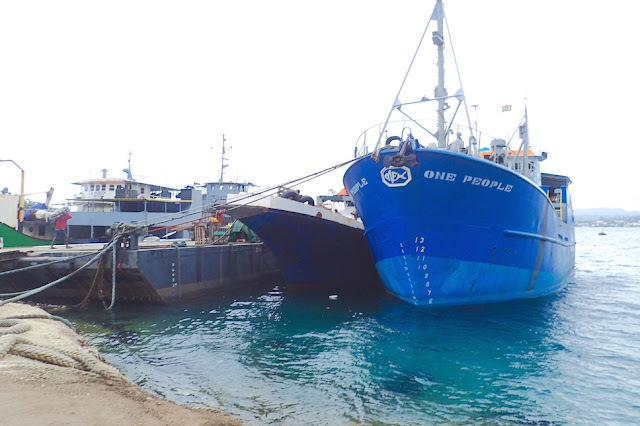 Plus, nearly everything on the island is shipped in. Small (and light) is big. Golf carts weigh 500-600 pounds. Gross vehicle weight of a small car can be as low as 1,270 pounds – still at least twice the weight of an average golf cart. With a smaller and lighter footprint, it must cost less to ship a golf cart versus a car. The parking lot at Spanish Wells supermarket. 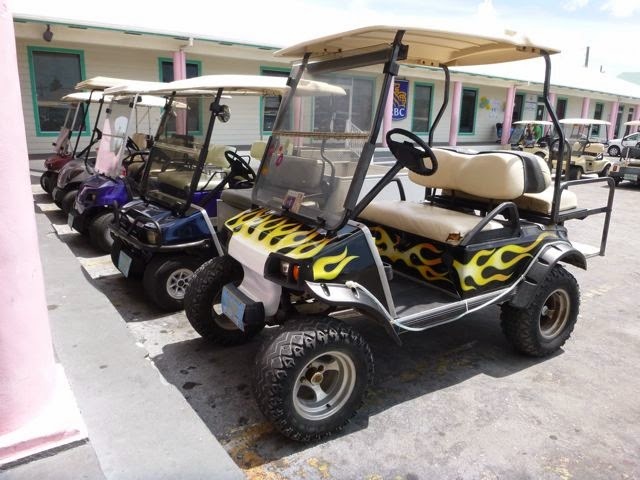 Okay not all golf carts here have flames. Another incentive? Gas is expensive, about $5-$6 per gallon. At worst, golf cart get 20 mpg. While some golf cart manufacturers claim 75-80 mpg, golf cart users say 35-45 mpg is more typical. Then of course, there is electric…. Given the frequency of rusted auto heaps on roadsides and in dumps, it didn’t surprise us when locals we talked to said most cars and trucks don’t fare well in this salty environment. A few years life is typical. 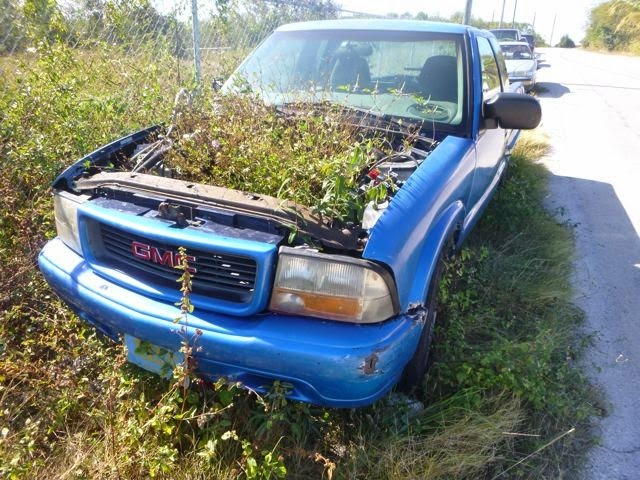 The funniest wreck we saw was the Long Island truck across the street from an automotive repair shop…. With weeds growing through its engine! A few weeks later when we passed by, it was gone. Can’t imagine its presence inspired potential customers. My Facebook friends came up with these clever potential captions for it…. Beth Mack The grass is always greener on the other side! Jill Hofmann Container Gardening Bahamian Way! Jeff Stong The latest version of the clean air act has had a big impact on auto manufacturers. Bruce Starcher closed loop system ... weeds to bio ethanol to power the car - can go forever! Daniel West Dateline April, 2014: GM announces new "green" auto propulsion system, with exhaust that smells like fresh cut grass and floral overtones. Keep on truckin'! from a Long Island service station. Nancy Stillwell Yoes For some reason my truck won't start. Aj Schricker A weed is just a flower in the wrong place. Patty Titcomb greenest energy i've seen yet! Thus, golf carts are far more common here than cars. If I lived here, I'd traverse these flats in an electric golf cart, and thank my luck stars for it every time I passed a gas station. No flames, though. 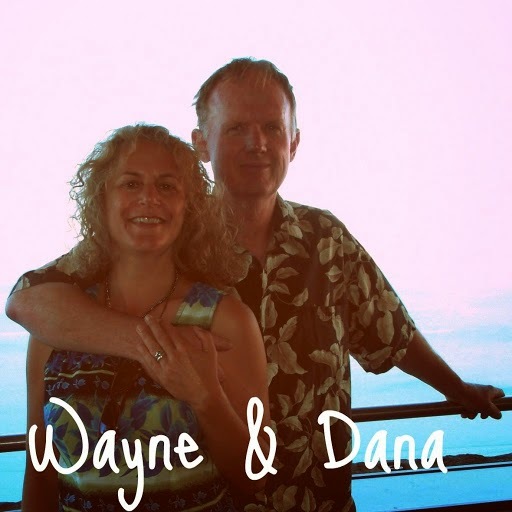 May 4, 2014 BAHAMAS. We’re in Spanish Wells, Eleuthera (N25.32.484 W76.44.728) , heading over to Eleuthera's Royal Island tomorrow while we wait for the next weather window for a smooth overnight sail to the Abacos. We were about to go today, but dilly dallied too long and then it started to rain. We decided better to stay put one more day.